Bio-Planet, the bio supermarket of the Belgian Colruyt group, turns out to be a source of several organic or bio chocolates. Aroma: Sweet, leathery, spicy. The aroma is promising. Taste: The bar delivers a hard snap. The taste starts off soft, rather sweet with red fruits slowly adding to the mix. The fruit keeps lingering in the mouth. It needs some time before the melt starts. The taste doesn’t evolve constantly, it somewhat flattens after the first waves of notes. Cacao and delicate red fruits keep up all the way, with absolutely no bitterness. I’m a bit surprised not to find the spicy notes in the palate again. This chocolate lacks some persistence, some “balls”. Just a touch of sweetness makes it gentle on the palate, though it does reveal some of the tastes found in fine chocolate. 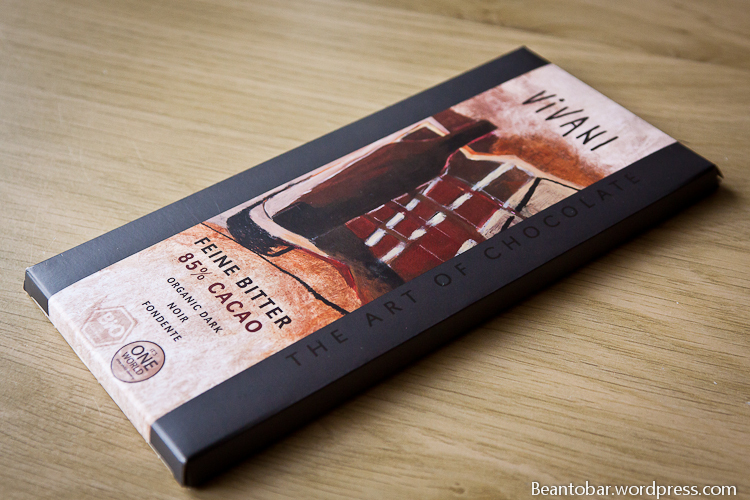 In the aftertaste, some bitterness comes through and the cacao seems to rise as the fruity acidity subsides. Edit: after eating some portions of this chocolate, I discovered something less pleasant about this bar. For some reason I seem to get little hard bits in my mouth. Almost like there are some flakes of the cacao beans that are left behind in the chocolate mass. I wonder if this is a fluke or if the production process leaves them behind. A sad conclusion. I don’t think I’ve ever describe any chocolates on my blog as “with balls” or without them, for that matter. But truthfully, it’s a really good, if funny turn of phrase. Really enjoying the reviews. 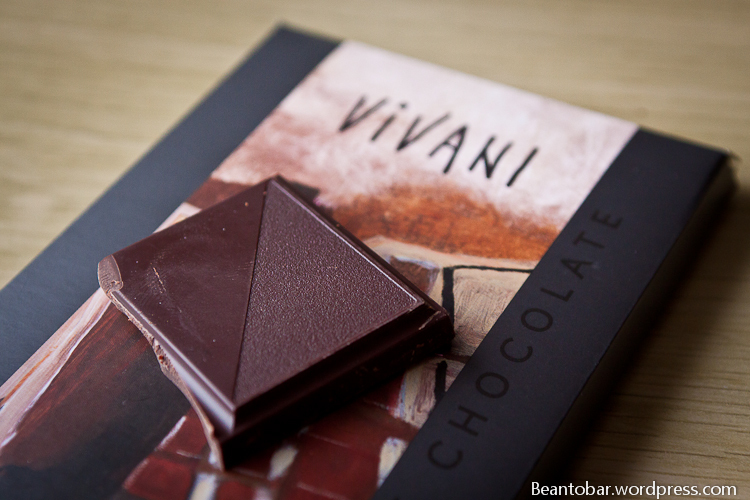 Vivani does make one really good chocolate, it is called Equador. Try that one next time. It is the only chocolate I can actually eat at the local organic store.